"The geopolitical situation on Afghanistan’s borders is rapidly evolving, following Taliban’s takeover of Kunduz.." File picture shows Afghanistan's security forces take their position during a clash by Taliban fighters in the highway between Balkh province to Kunduz city. The geopolitical changes around Afghanistan and the organisational struggles within the Taliban make the time right for India to reassess its role in Afghanistan. The geopolitics of Afghanistan, Central and West Asia has witnessed several important changes over the last six months, which makes the time right for a fresh Indian initiative that reaches out to old friends in northern Afghanistan along with anti-Taliban elements in the southern parts. The US, by deciding to retain its forces in Afghanistan until 2018, is giving a signal that its relationship with Afghanistan and interest in the region is not transactional, but of a more abiding nature. Clearly, the US initially underestimated the strength and staying power of the Taliban. President Obama now realises that if they prevail, or if civil war erupts on a large scale, the gains that were supposedly made with the support of US and Nato forces in Afghanistan during the last 14 years will be reversed. The potential of the Islamic State increasing its footprints, particularly in Afghanistan and even in certain Central Asian states, with sprinklings in Pakistan has become a reality. There is a belated appreciation among US policymakers that Pakistan has a strategic importance in its own right and maintaining close relations with it is in the US interest. Moreover, the region’s geostrategic significance has enhanced considerably as a consequence of China’s deep involvement in the region. The multi-billion dollar China-Pakistan Economic Corridor project is likely to alter the region’s potential and dynamics and the US does not want the vacuum to be filled entirely by China. With the recent announcement that most U.S. and NATO forces would stay in Afghanistan longer than the original withdrawal date of 2014, WAMU's The Diane Rehm Show hosted Sarah Chayes, a senior associate at the Carnegie Endowment, alongside Carol Lee, White House correspondent at the Wall Street Journal, David Rothkopf CEO and editor, FP group, which publishes Foreign Policy Magazine, and Ambassador James Dobbins, senior fellow at the RAND Corporation. Chayes explained how the regional environment, especially Pakistan's involvement, as well as poor governance and weak institutions shape the current situation in Afghanistan. Thanks for joining us. I'm Diane Rehm. President Obama says he'll reverse course in Afghanistan, keeping American troops there until he leaves office. The decision comes after big gains by the Taliban, which are said to control a fifth of the country. Joining me to talk about reversal of U.S. policy in Afghanistan, the rise of Taliban and ISIS forces there and the future of U.S. involvement in the region, David Rothkopf of The Foreign Policy Group, Carol Lee of The Wall Street Journal, and Ambassador James Dobbins of the Rand Corporation. Joining us by phone from Boston, Sarah Chayes of the Carnegie Endowment For International Peace. I invite you to be part of the conversation as always. Give us a call, 800-433-8850. Send us your email to drshow@wamu.org. Follow us on Facebook or send us a tweet. Thank you all for being here. The Islamic State of Iraq and Syria’s (ISIS) Southeast Asia fighting unit, Katibah Nusantara, has continued expanding geographically. How does it link with Indonesian pro-ISIS groups and what security threat does it pose to the country and the region? The Southeast Asia fighting unit of the Islamic State of Iraq and Syria (ISIS), Katibah Nusantara (KN) continues to expand geographically within a year of its establishment. There are about 450 Indonesians and Malaysians, including children and women under fealty to ISIS in Iraq and Syria today. KN or Majmuah Al Arkhabiliy in Arabic, started out with some 100 Indonesian and Malaysian fighters when it was formed in Shaddadi, Hasakah in Syria in September 2014. It has since the middle of this year, divided into three geographical groupings: KN Central led by Bahrum Syah; Katibah Masyariq led by Salim Mubarok At-Tamimi alias Abu Jandal, based in Homs and Katibah Aleppo led by Abu Abdillah. Bahrum Syah remains amir of KN, dealing strictly with Indonesian ISIS fighters that defy or defect from KN’s instructions, to maintain unity within ISIS. Rising world power China is a study in contrasts. On one hand, it is a state-controlled capitalist economic powerhouse with global investments and an increasinglywealthy upper class. On the other, it is a totalitarian police state that has no qualms about massacring its own citizens in the name of preserving order. Such characteristics should not be seen as contradictory; in fact, Chinese history is replete with examples of dynasties and empires engaged in both internal and external warfare. Unlike in the west, where politics is often thought of as a debate of ideas leading to the practical need to compromise in order to govern, the contemporary PRC sees politics as form of warfare that the state must be engaged in constantly. Because the enemies of the revolution are always seeking to undermine it, there is no state of peace. In this realm, information becomes a tool of war, a weapon that the state should employ with skill and precision. In early October 2015 a Chinese businessman (Xiwen Huang) was indicted in the United States for stealing trade secrets from American companies as well as the U.S. government over a ten year period. Huang was caught in part because he and Chinese firms are becoming bolder in how they exploit stolen software, trade secrets and other technology. Often Chinese will describe their espionage feats in print (almost always in Chinese only) and that is becoming more common. For example one of the most damaging pieces of evidence against was a detailed description of his activities Hwang sent home via email. He even gave this account a title; “Trip of Dream Realization” apparently with the intention of later expanding it into a magazine article or book. The article was also a detailed confession of theft of trade secrets and other intellectual property between 2004 and 2014. Huang was arrested in May 2015 on one of his trips back to the United States from his new home (and job) in China. Since 2012 most American officials have come to openly admit that a whole lot of American military and commercial technical data has been stolen via Chinese Internet espionage efforts as well as more conventional methods like Huang used. The Americans are not providing details of exactly how they collected all the evidence, but apparently it is pretty convincing for many American politicians and senior officials who had previously been skeptical. The United States and China seem to be edging closer to a naval showdown over freedom of navigation in the South China Sea. The US has announced it plans to conduct naval patrols within 12 nautical miles of China’s controversial “artificial islands” in order to uphold the principle of “freedom of navigation” under international law. China’s state-run English-language newspaper has called such plans“provocative” with one Chinese admiral even threatening to deliver a“head on blow” to any foreign forces threatening Chinese sovereignty of the disputed islands. It is tempting to frame this dispute as the US upholding international law, and China ignoring it. But solving this brewing conflict requires more than simply demanding China “follow” international law. Instead, because the US and China have fundamentally different interpretations of what international law requires, both sides will find it difficult to avoid continuing their conflict over maritime and navigation rights in the region for the foreseeable future. The US definition of freedom of navigation means all ships (including warships) are allowed to traverse both the 200-nautical mile exclusive economic zones (EEZs) and the 12-nautical mile territorial seas without obtaining the permission of the coastal state. Inside the 200-nautical mile EEZ, the US believes that military ships may conduct any activity, including surveillance of the coastal state (e.g., “spying”). Within 12 nautical miles, the US believes military ships must abide by the rules of “innocent passage” which precludes any overt military-related activity. “Nations like Russia and China have been pursuing military modernization programs to close the technology gap with the United States. They’re developing platforms designed to thwart our traditional advantages of power projection and freedom of movement.”- US Defence Secretary Ashton Carter (Washington, September 16, 2015). Coming soon after the September 3, 2015 military parade in Beijing when China exhibited advanced missiles and fighter aircraft and prior to the start of the first state visit to the US by the President of the People’s Republic of China (PRC) Xi Jinping, the statement above made by Ashton Carter, brings the ongoing military modernization drive in China into sharp focus. Indicating a fresh momentum to that drive has been Xi Jinping’s announcement while addressing that parade, held to mark the “70th anniversary of the victory of the Chinese People's War of Resistance against Japanese Aggression and the World Anti-Fascist War”, of a cut of 300,000 from the present estimated PLA strength of 2.3 million. Xi stressed on the cut’s ‘upholding peace’ purpose; so did his government’s Defence Ministry spokesman Col. Yang Yujun who listed other purposes of the cut as well– achieving common development and sharing prosperity with other nations and pushing forward the international arms control and disarmament. WILL AMERICA MAKE THE SAME MISTAKES AS CHINA? These sorts of sentiments abounded in mainstream Chinese media following the 2008–09 global downturn, but they now appear premature. Developments in oil production and shale gas — which the National Intelligence Councilbelieves constitute “a tectonic shift” — have significantly reduced America’s reliance on imported energy, even as China’s dependence rapidly increases. Volatility in the global financial system — exemplified by the ongoing exodus of foreign capital from emerging markets — has cemented the dollar’s preeminence. And former International Monetary Fund chief economist Simon Johnson argues that “it is the U.S. that is currently leading the push for freer trade across the Pacific and a substantial reduction in barriers to trade with Europe. … likewise, in terms of monetary policy, the major issue for the world over the next year is when and how much the Federal Reserve will raise interest rates.” In sum, the United States remains central to global commerce. China’s latest official figures are likely to sharpen the already acrimonious debate about the true pace of the country’s economic growth. On Monday, the National Bureau of Statistics (NBS) announced that China’s third-quarter gross domestic product (GDP) rose at a 6.9-percent rate, nearly matching official performance numbers for the first half and government goals for this year. The result topped forecasts of 6.7-6.8 percent from economists surveyed by news organizations, but the official GDP figure was the lowest since 2009. Industrial output growth of 6.2 percent for the first nine months was down only slightly from the first-half mark of 6.3 percent. Retail sales growth of 10.5 percent for the period barely budged from the first-half level of 10.4 percent, according to the NBS. As of early 2015, jihadi groups in Syria have recruited over 20,000 foreign fighters to their cause, the overwhelming majority of who have joined the ranks of the Islamic State (also known as ISIS). A major reason for the group’s recruiting success has been its deft use of propaganda and social media, expanding its scope from the more esoteric conflict in Iraq and Syria to a worldwide appeal. Efforts to blunt ISIS propaganda have been tentative and ineffective, despite major efforts by countries like Saudi Arabia, the United States and the United Kingdom, and even al-Qaida. Counter-messaging efforts, such as those by the U.S. Department of State’s Center for Strategic Counterterrorism Communications (CSCC), have been dwarfed by the sheer size of the ISIS footprint. No effort to date has matched the tailored nature, the scope, nor the electrifying content of the Islamic State’s material. To counter the Islamic State’s propaganda, governments should focus more on the content of counter- messages rather than their dissemination. Let private citizens circulate content they find effective. If governments want to facilitate the circulation of counter-messages, they should collaborate with private citizens by making it easier for them to find such content. As for social media companies, they should be shamed into truly enforcing their terms of service to stop the Islamic State and its supporters from distributing their propaganda so easily. BAGHDAD (AP) — The new top U.S. military officer said Tuesday he sees no prospect right now for Russia to expand its airstrike campaign into Iraq, speaking after briefings to update him on the battle against Islamic State militants. Marine Gen. Joseph Dunford, chairman of the Joint Chiefs of Staff, made his first trip to the war zone since taking the top post on Oct. 1. He told reporters traveling with him that U.S. officials spoke with Iraqi leaders and were told no Russian airstrikes had been requested, despite earlier reports that Prime Minister Haider al-Abadi wanted Russia's help against Islamic State militants. Dunford planned to talk with his commanders to get updates on battles in Beiji and Ramadi, where Iraqi forces have made some recent gains. The perceived relative homogeneity of Thai culture and society is being challenged on multiple fronts today. So much has been said about the socio-economic division within Thai society, epitomized by the ‘red’ verses ‘yellow’ shirt movements, and political outcomes over the last decade and a half. However very little is said, publicly anyway, about the growing influence upon Thai society, that Thailand’s Muslim population is now projecting at many levels. The current Muslim population of Thailand is between 5-6%, depending upon which set of statistics you consult. This consists of a number of dispersed ethnic groups throughout the country. About 18% of Thailand’s Muslims live within the Southern provinces of Songkhla, Satun, Pattani, Yala, and Narathiwat, who are primarily of the Malay, Javanese, and Acehnese origins, agricultural based, that practice the ‘Malay’ culture. These groups are domiciled around what was the former Greater Petanni Sultanate, that came to being around 9th Century, and was annexed by Thailand in 1909 from British influence. The ISIS chapter in Afghanistan has emerged as an imminent threat to the region, specifically after it gained control of areas in the Nangarhar province. The province’s critical location along the Afghanistan-Pakistan border and the group’s readiness to feed demand for narcotics trade grant it strength. Since July this year, the ISIS chapter in Afghanistan has taken control of seven districts in the southern part of the Nangarhar province. The province is located along the east of Afghanistan, and borders Pakistan. The control of physical territories indicates that the group is no longer on the fringes of the region. The group has established Shariah courts and prisons, closed down more than 60 educational institutions and recruited local children into its ranks of militants. It has also released barbaric videos aimed at terrorising those who stand up to their violent penchant for control and have perpetrated incidents of violence in the province. The Pashtun population has been largely resistant to ISIS’ recruitment efforts, and has fended off the terrorist group’s attempts at enforcing a foothold in the areas under its control. Yet, the ISIS chapter in Afghanistan has managed to carve out areas for control and has been involved in door-to-door recruitment campaigns while they forcibly marry local women to its fighters. According to a recent UN Report, the entity has managed to gain supporters from 25 of the 34 provinces in the country. These developments indicate that ISIS in Afghanistan has become a more pressing threat to stability within the country, and Pakistan as well. Are Internet trolls now actively moving from the realms of attention seeking, stalking and character assassination to social media-facilitated terrorism and murder? Recently, a US professor mailed me inquiring about the possible misuse of Open Source Intelligence (OSINT) to intimidate people who did not subscribe to the mainstream political narrative. She was concerned about the ramifications. I told her that there was a difference between OSINT and trolling. Many claim to know and employ OSINT, whereas they are merely provoking, intimidating and bullying people online. Left unchecked, this form of psychopathology can lead to violence and even murder. Will the Weapons That the U.S. Is Giving to Syrian Rebels End Up in the Wrong Hands? WASHINGTON (Reuters) - U.S. President Barack Obama’s plan to directly arm rebels fighting inside Syria is raising concern from Congress and intelligence officials over whether it provides enough safeguards to prevent the weapons falling into the wrong hands. The new approach replaces a largely failed effort in which the Pentagon trained rebels outside of Syria and sent them back to the battlefield after an exhaustive vetting process to ensure they were not linked to radical Islamic groups. Only about 180 rebels were trained, of whom 145 remain active, with about 95 inside Syria, a military spokesman said on Friday. The revised plan to battle Islamic State in northern Syria kicked off on Oct. 11, when U.S. Air Force C-17 cargo planes conducted what the Pentagon described as a successful airdrop of machine gun ammunition, grenades and rocket-propelled grenade rounds to Syrian Arab fighters. The concerns stem from the fact that, under the new programme, only rebel commanders - not individual fighters - will be screened, as well as the inherent risk of inaccuracy in airdrops to areas controlled by overlapping militant groups. Naxals is a loose term to define groups waging violent struggle against the landlords and other class enemies on behalf of the landless and tribals. They are far left radical communists inspired from Maoist ideology. The question that one needs to be understand is if the history of the landless and tribals really written from their perspective. Are they truly empowered by the Naxals? Is it about capturing control by the conflicting parties- government or Naxals while the interests of the marginalised conveniently lost in this clamour for power? This article makes an attempt to discuss this issue taking the Naxals approach to win over the tribal support using the tendu leaves as a symbol of support. Indian forests have been home to its tribal population for generations. It has been their most trusted source of livelihood and shelter. The damage it caused to the forest in the name of livelihood was less so as not to have any environmental impact. “With the coming of the British, a great change was inaugurated, in which the forest and the people who lived there became managed as a resource within a wider system of production.” [ii] The forest came to be viewed as a natural resource which the government had a ‘duty’ to protect. So they found out a latent and manifest function[iii] behind the introduction of series of forest rights act that are still continuing. While the manifest function was to conserve the forest and its rich natural environment, the latent was to exploit it commercially and use it as a source of income. 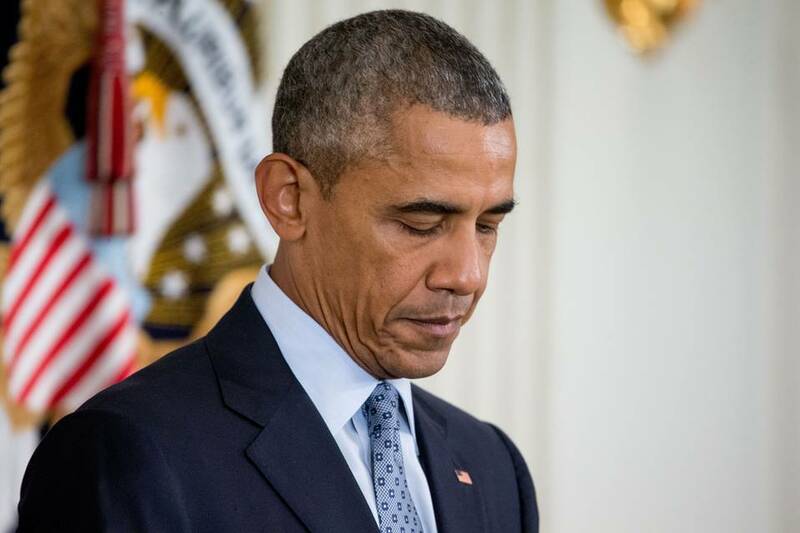 President Obama is determined to end his second term in another blaze of spending glory, and toward that end he’s taking the U.S. military hostage. That’s the way to understand his threat to veto the National Defense Authorization Act. The House and Senate recently passed this annual bill with significant bipartisan majorities and they’ll send it to Mr. Obama as early as Tuesday. The NDAA is a policy bill that contains major military reforms and authorizes $612 billion in national defense spending, though that money would have to be appropriated separately. The bill matches Mr. Obama’s budget request for an increase of $38 billion above federal budget caps for military spending. The NDAA does this by allocating the money through an Overseas Contingency Operations (OCO) fund, which isn’t subject to the budget caps. The President calls this a budget gimmick, which it is, but that hasn’t stopped Mr. Obama from requesting his own OCO funds when it suits. The point is that this is $38 billion Mr. Obama requested, and that the military needs. A Russian military satellite which parked itself between two US Intelsat satellites did not put them at risk, a Russian space expert says. Ivan Moiseyev, head of Russia's Space Policy Institute, said he understood US concerns about the Luch relay satellite's manoeuvres. "But the possibility of a collision or some kind of interference is extremely small," he was quoted as saying. Intelsat said it had tried and failed to contact the satellite's operator. 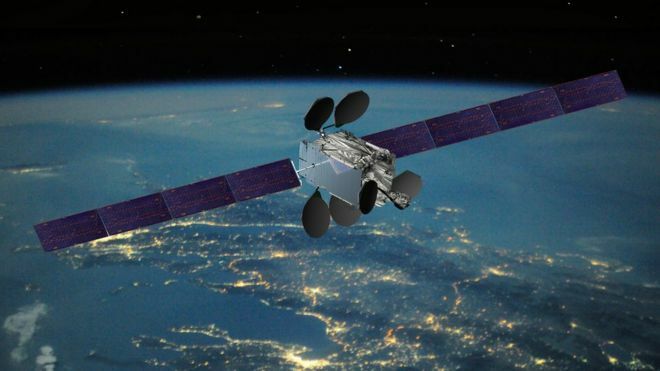 "Despite direct and indirect inquiries by the appropriate regulatory bodies and governmental agencies, the operator of the other satellite was unresponsive," it said in a statement to the BBC. Russian Foreign Minister Lavrov justified the Russian military intervention in Syria firstly, as an imperative to safeguard Russia’s national security interests of neutralising or liquidating the ISIS Islamist threat before it touches Homeland Russia. The Russian Foreign Minister stated that the Russian military intervention in Syria was not personality-specific in terms of sustaining the Assad regime in Damascus. The second reason advanced by the Russian Foreign Minister was that Russian military intervention was undertaken on the specific request of a friendly Government of Syria. Be as it may, the strategic reality is that Russia has clearly signalled that it has the military capability for conducting military intervention operations in distant areas by a combination of use of Russian Air Force strikes and logistics support and Russian Navy operations in distant seas. Though Russia has only flown in about 2,000 Russian Army contingents, it has further signalled that it is willing to put ‘boots on the ground’ and more f required. Russia’s air campaign in Syria, along with a ground offensive led by the regime of Bashar al-Assad, are shedding light on Moscow’s military and political objectives. Where earlier there was only room for informed speculation we can now make firmer judgments. In Syria, as in Ukraine, the Western perception of Russia’s approach is often divorced from the course of combat operations. Commentators tend to fixate on Russian President Vladimir Putin’s statements, which rarely convey true motivations, and are more often part and parcel of Russia’s political strategy. There is also a tendency to create a false dichotomy, portraying Russian actions as evidence of either a thought-through strategy or reckless gambling. In Syria, neither is true. Russia is taking a calculated risk in a military effort, the outcome and length of which is uncertain, but it ties into a political strategy. Putin has framed this as an operation against the Islamic State, a fight against terrorism, but for Russia this is a game with words. Moscow has almost exclusively gone after the other various forces arrayed against the Syrian Army, classifying them all as terrorists and unlawful actors. Russian decision-making is opaque and it is still unclear if Russia has a plan for how this ends. The history of conflict in the Middle East — particularly America’s recent experiences in Iraq and Afghanistan — teaches us that getting mired in the region is far easier than extricating oneself from it. Don’t expect as much change as one might expect from a candidate with a slogan of “real change.” Canada is not going change its stances on most major issues. The reason for this is simple: On many of the major foreign policy issues that have arisen over the past several years, the differences between the Conservatives and Liberals were nuances rather than wide gaps. For instance, expect the Liberals to support the recently signed Trans-Pacific Partnership after satisfying their campaign promise to examine it. The biggest change will be in style, with Trudeau being far less combative, especially with allies like the United States. What are the five key things Americans need to know? 1. Canada is not going to spend much more money on defense, but not much less either. The Liberals may change some of the spending priorities — they have ruled out buying the F-35 — but remain committed to the expensive build-in-Canada program of shipbuilding to replace the current fleet. In response to accusations about free-riding, Canada will remind its allies that it always shows up when called upon, sacrificing more lives in Afghanistan than any outsider except the United States and United Kingdom. Bloomberg reports: As Russia’s air war in Syria nears its fourth week, officials now admit that Moscow’s aim is far broader than the publicly announced fight against terrorist groups. The Kremlin’s real goal is to help Syrian President Bashar al-Assad retake as much as possible of the territory his forces have lost to opponents, including U.S.-backed rebels, Russian officials told Bloomberg News. Moscow’s deployment of several dozen planes, as well as ships in the Black and Caspian Seas, could last a year or more, one official said. President Vladimir Putin is willing to run the risk of falling into the kind of quagmire that helped sink the Soviet Union a generation ago for the chance to roll back U.S. influence and demonstrate he can dictate terms to Washington. If the strategy is successful, Russia’s largest military drive in decades outside the former Soviet Union would force the U.S. and its allies to choose between Assad, whom they oppose for his human-rights abuses, and the brutal extremists of Islamic State. Senior U.S. and Russian defense officials signed a memorandum of understanding today on air safety in Syria, the Pentagon’s press secretary said. The memorandum of understanding, or MOU, is aimed at minimizing the risk of inflight incidents among coalition and Russian aircraft operating in Syrian airspace, Peter Cook said at a Pentagon’s news conference. The MOU went into effect with today’s signing, he said. Cook said the MOU includes specific safety protocols for aircrews to follow, including maintaining professional airmanship at all times, the use of specific communication frequencies and the establishment of a communication line on the ground. For much of the year, Facebook has been at the center of a global net neutrality controversyregarding its Internet.org initiative. Internet.org provides developing nations free, limited access to certain services, provided they're Facebook approved and not encrypted. Facebook is hungry to get in at the ground floor of an absolute explosion in developing nation ad revenue, but net neutrality critics have worried that giving so much control to one company sets a horrible precedent. It would, they argue, be far more helpful to simply deliver a subsidized version of the real Internet, encrypted warts and all. Why, oh why must you hate the poor? Isn't a limited version of the Internet better than no Internet at all? CIA Director John Brennen Still Has an AOL Email Account??? WASHINGTON — For John O. Brennan, the director of the C.I.A., perhaps the worst part of the attack on his private email account was the revelation that until very recently, he used an AOL account. In a digital world dominated by Gmail, Mr. Brennan’s selection of email providers perhaps did not convey the image of an intelligence director on the cutting edge of communications technology. But the good news for Mr. Brennan is that so far, no classified information appears to have been revealed. The few documents that have surfaced include a spreadsheet of a guest list, including the names of some government employees and their Social Securitynumbers who appeared to be on an access list, for an event in a government building. Nonetheless, the F.B.I. has opened an investigation into the claims of a hacker, who approached The New York Post with news of his success and the assertion that he was acting on behalf of Palestinians. He contended that he had also downloaded Mr. Brennan’s disclosure forms for a security clearance, and had carried out a similar hacking of an email account belonging to Jeh Johnson, the secretary of the Department of Homeland Security, the agency charged with day-to-day protection of the domestic Internet infrastructure. Two problems emerge in the history of superpowers. First, it takes a significant investment in military infrastructure to stay on top. Second, they present a large target for rising nations intent on claiming the top step on the podium. The size of the investment in military hardware inclines superpowers towards stability in their force structure: Persians liked chariots, Romans liked legions, Napoleon liked artillery, and Americans like aircraft carriers. However, this kind of stability makes for easy calculations by rising powers. Chariots, legions, and artillery were each overcome by competitors. Today, even the carrier is finding competition in the strategic environment from long-range missiles. However, the challenge to the carrier comes not just from external powers but also from internal mistakes. Congress needs to review and revise the Goldwater-Nichols Act, which dictated major changes to the U.S. military’s acquisition system, the chairmen of the House and Senate Armed Services Committees said. Sen. John McCain, R-Ariz., noted that it has been nearly three decades since the landmark legislation was passed, and said it was time for a “thorough and complete review” of the organizational structures that were put in place. My friend Tod Lindberg has written an interesting and important book on the changing nature of heroism. I disagree with much of it, but I encourage you to read it, because The Heroic Heart is a learned rumination on a subject crucial to the preservation of Western society: Do our modern notions of heroism make us vulnerable to attack from without and corrosion from within? I desperately wish more writers wrestled with ideas about martial valor and their consequences for our society. At a time when Western military forces comprise only a small slice of the state’s body politic (in the United States, less than one half of one percent of Americans are in military service) those of us who benefit from their protection have little exposure to the culture of heroism inculcated in our military. Not only is understanding that culture important to properly valuing those men and women’s contributions to our well-being, but in a political system that subordinates our military to control by civilians, it is also essential to properly utilizing deadly force. When the invasion of Iraq triggered an insurgency, a civil war, and the collapse of social order, Colin Powell coined the “Pottery Barn rule” about military intervention: “You break it, you own it.” In the wake of President Obama’s Oct. 15 announcement that 5,500 U.S. troops will stay in Afghanistan through the end of his term, I hereby proclaim the “Hotel California rule,” after the last line of the Eagles song: “You can check out anytime you like, but you can never leave. The US Army is in no rush to replace its combat vehicles. Sure, the service is upgrading its European Stryker brigade with 30 mm guns and anti-tank missile launchers. But there’s no real plan for wholesale replacements of Abrams tanks, Bradley troop carriers, and Paladin howitzers before 2030. For as Brigadier General David Bassett, the Army's head buyer for ground combat systems, complained at last week’s Association of the United States Army (AUSA) show, “years ago we were limited by technology; now we are limited by money… I see a lot of great technology and ideas but we are constrained by budget.” I must say, however, that I am less concerned. Fact is, buyers are always constrained by technology, but contractors displaying at AUSA 2015 showed ideas well-grounded in technical and operational feasibility.